Before changing my diet, I loved a good risotto. Creamy, gooey and oozy it hits the spot every time. But when I changed my diet, I had to say goodbye to the short-grain and risotto rice varieties that can kick-start a sugar crash. The ambition behind creating this dish was to satisfy my risotto cravings while also keeping my reactive hypoglycemia in check. Now for a bit of science, so feel free to skip this bit if you hated biology class! Put simply, reactive hypoglycaemia means the body is very sensitive to glucose, a simple sugar that can be found in almost all carbohydrates to varying degrees. Because of this sensitivity, after a carbohydrate-heavy meal such as chips, coca cola or a doughnut the rise in blood sugar levels triggers the pancreas to produce too much insulin. Insulin regulates the amount of glucose in the blood, so too much insulin causes blood sugar levels to fall sharply. This drop in blood sugar levels is known as hypoglycemia. Consequently, the brain sends out alarm signals that it has too little glucose to function, causing symptoms such as confusion, intense anxiety, uncontrollable shaking, palpitations, blurry vision, headaches, nausea and, in some cases, unconsciousness. One interesting thing that I have learnt on my journey to better health is that sugar is not just the stuff we put into our tea and biscuits. Sugars like glucose make up all carbohydrates and so a diet low in sugar can be quite restrictive. In Europe, we rely quite heavily on carbohydrates in every meal, from bread and bananas to pasta and porridge oats. We also drink a lot of sugar in our fizzy drinks, juices, hot chocolates and alcoholic beverages. Reactive hypoglycemia also varies in severity. Some patients may be severely affected and may be unable to eat any carbohydrates, meaning that they have to follow a low carbohydrate diet. Others such as myself are fortunate to be able to include some carbohydrates, and so can follow a low-GI diet that permits some carbohydrates while excluding others. Although I have not cut out all carbohydrates from my diet, I avoid high-GI carbohydrates entirely. That includes potatoes and parsnips, short-grain rice, fruits like watermelon and pineapple, white bread, cereals like rice crispies and bran flakes, most biscuits and cakes (fortunately there are exceptions which I will get onto another time!) and a few other foods. I am also conscious of the glycemic load of every meal and so I incorporate protein, fibre and a little fat into my meals as much as possible. There are many health benefits to this diet, including weight loss and stable blood sugar levels. Additionally, I do not eat meat out of personal choice. The main swap in this risotto is to use pearl barley instead of short-grain rice. This requires a slightly different cooking method as pearl barley does not behave like risotto rice. But the nutty flavour of this wonderful grain goes perfectly with the earthy sweetness of the beetroot. And it’s glycemic index is low at 25. 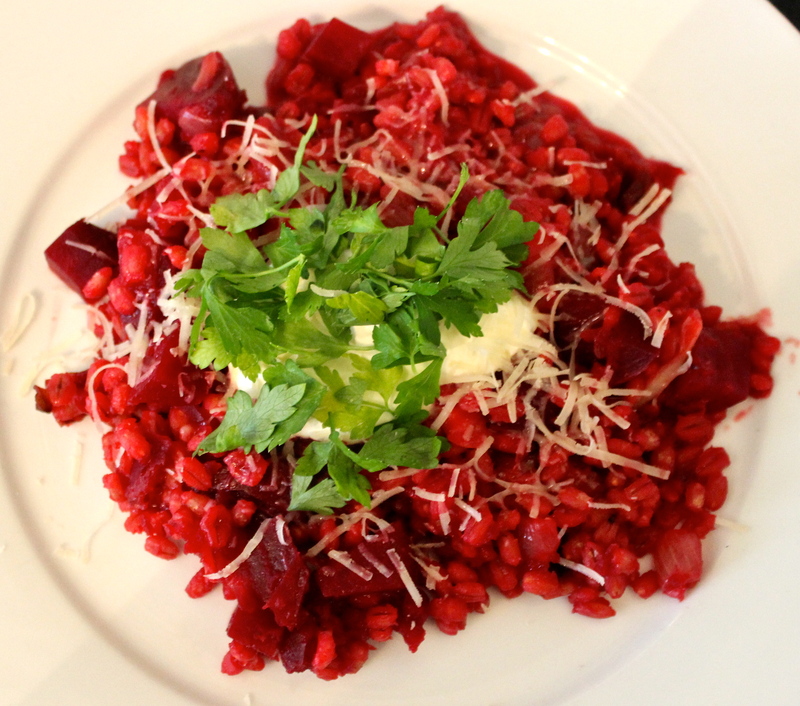 Beetroot is a medium-GI carbohydrate, but balancing it against the other high-fibre, low-GI ingredients in this dish cancels out much of the negative reaction. 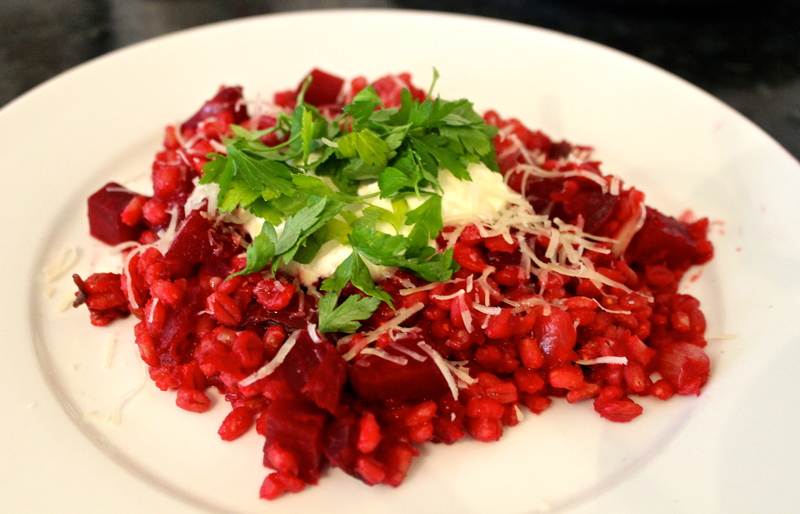 And if there is one thing I love to put in my risotto it is beetroot (or mushrooms, but that is a future post!). 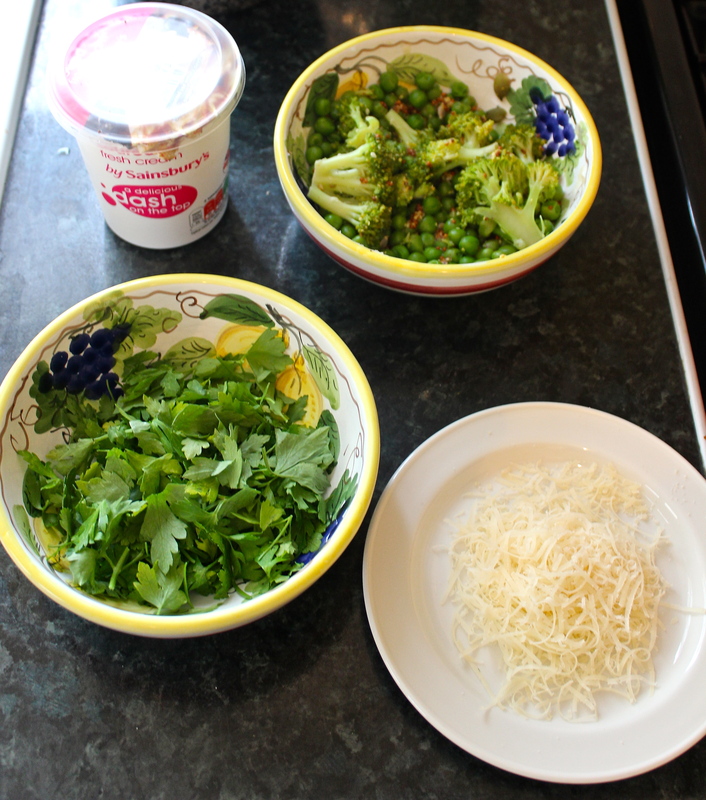 So here is my lower-GI, ‘healthy’ alternative to a standard beetroot risotto. And it is pretty darn tasty if I do say so myself! 1. 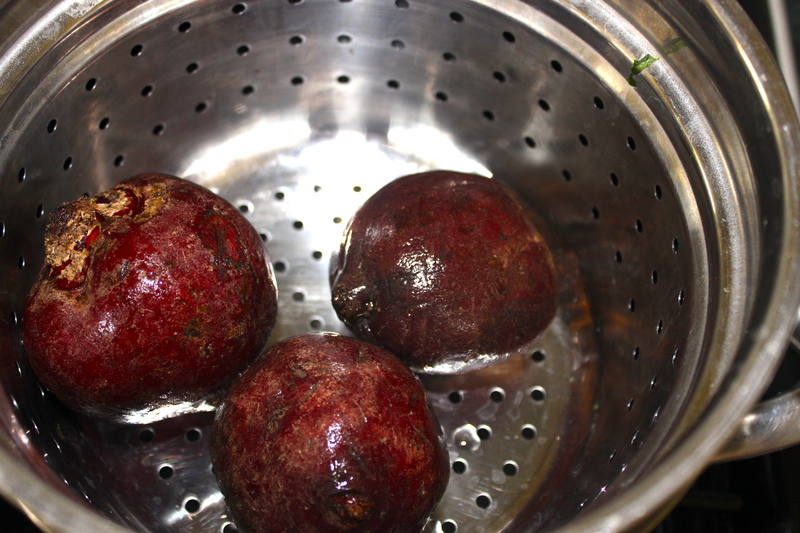 Start by steaming or boiling the beetroot. Leave on the skins but trim any leaves. Get them on early as they take a long time to cook – up to 90 minutes. I leave mine to cook for 1 hour and then go back to check on them periodically until they look right. You will know they are cooked when the skins are starting to peel and come loose when rubbed gently. 2. While the beetroot is cooking, get started on the barley. Unlike risotto rice, pearl barley requires up to 75 minutes of cooking. In a medium saucepan boil 125ml/1/2 cup of water for every serving and add the pearl barley. Boil for 20-30 minutes to start softening it. 3. Finely chop the onion and crush or mince the garlic. Sauté the onion in a large casserole dish on a high heat, using 1 tsp each of olive oil and butter. Once softened, add the garlic and reduce the heat. 4. 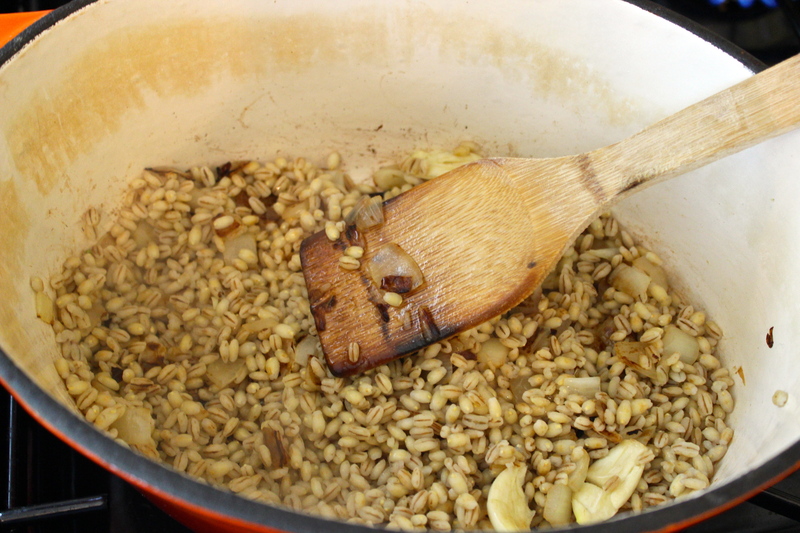 Drain the pearl barley and add to the casserole dish, stirring constantly. You might have to add a touch more oil if the barley sticks to the pan, as it will still be moist. 5. Add a dash of white wine, or up to 75ml per serving if you like it boozy! Let the wine simmer until almost completely absorbed. 7. Add all of the stock to the dish. 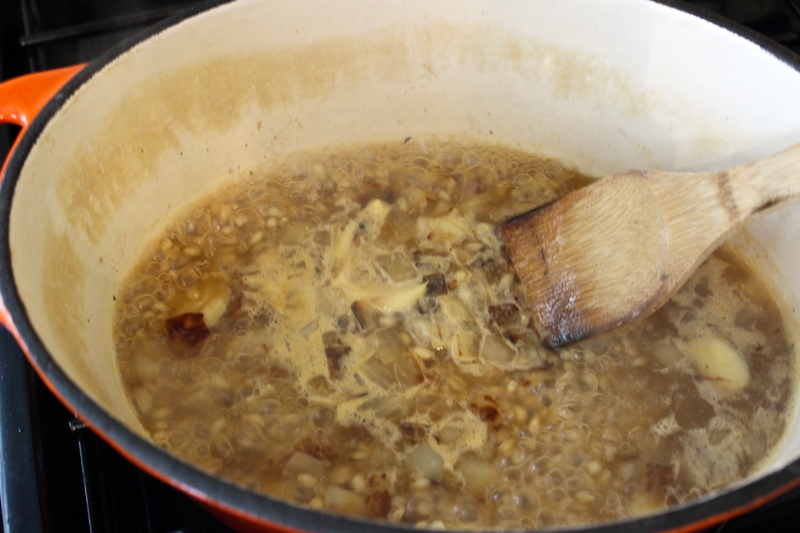 Unlike risotto rice, pearl barley cooks best if submerged in liquid so you do not need to add the stock in stages. Continue to simmer until the stock has been almost entirely absorbed. 7. 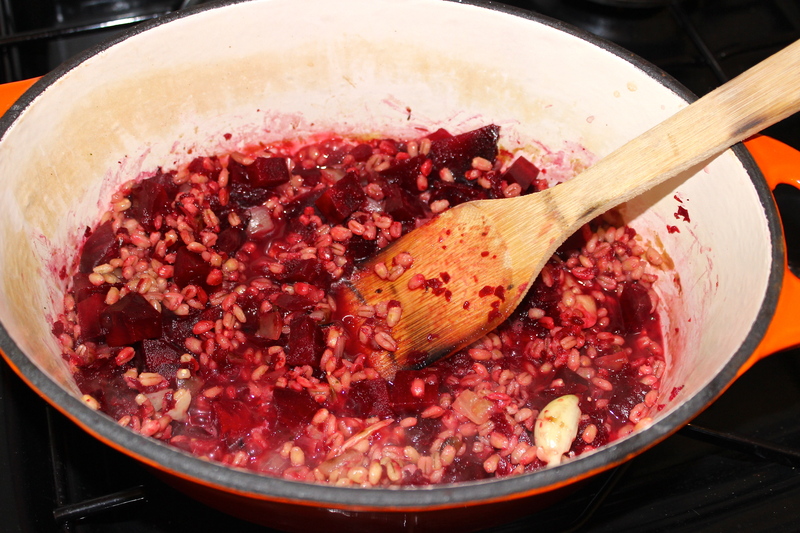 While the barley is cooking, remove the skins from the beetroot and trim the top and tail. Cut two of the beetroot into bite-size pieces. 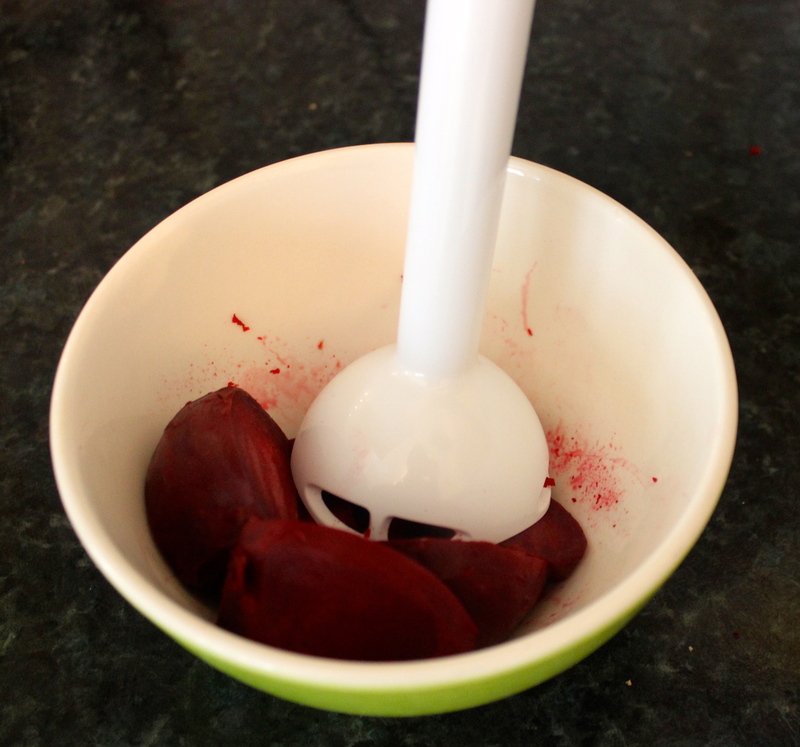 Roughly chop the second beetroot and place in a blender or a bowl (if using a hand blender) with a dribble of oil. 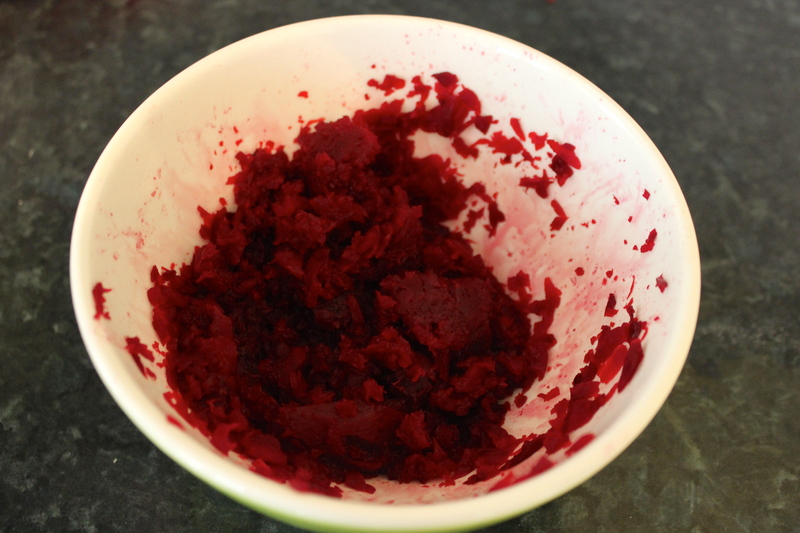 Blend the beetroot into a purée. 8. Add both the chopped beetroot and beetroot purée into the casserole dish and stir until everything is well incorporated. Turn off the heat. Stir in the lemon juice and season to taste. I counteract the sweetness of the beetroot with lemon and sour cream on the side. But if you like your risotto sweet, just leave out those steps. If you are looking to reduce your salt intake, use low-sodium stock and a lower-sodium cheese much as ricotta, goat’s cheese or emmental or, if you can find it, some low-sodium cheddar. If you don’t have the time to wait for your beetroot to cook, you can buy it pre-cooked or use a pressure cooker to slice the cooking time by half.